During my 3 days 2 nights stay at Asia Hotel in Phnom Penh, I had breakfasts at the hotel itself. 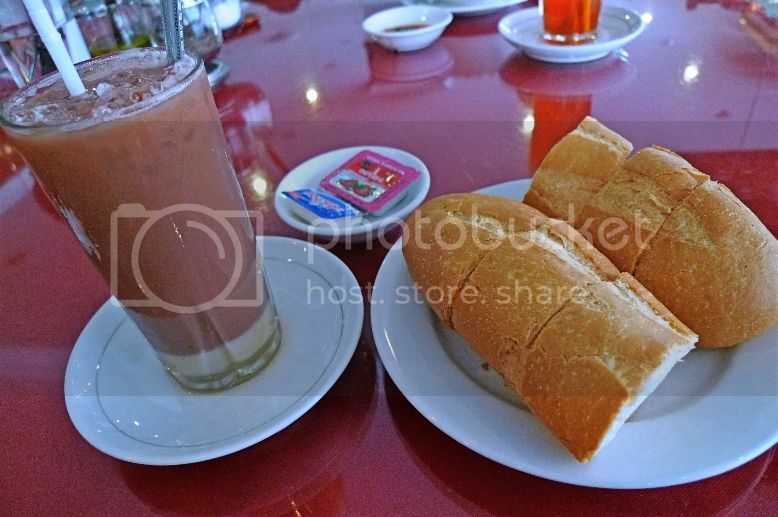 My first breakfast was bread with butter and jam and a glass of Ovaltine with milk. It had been such a long time since I drank Ovaltine I sure did not expect I would be drinking it in Cambodia! 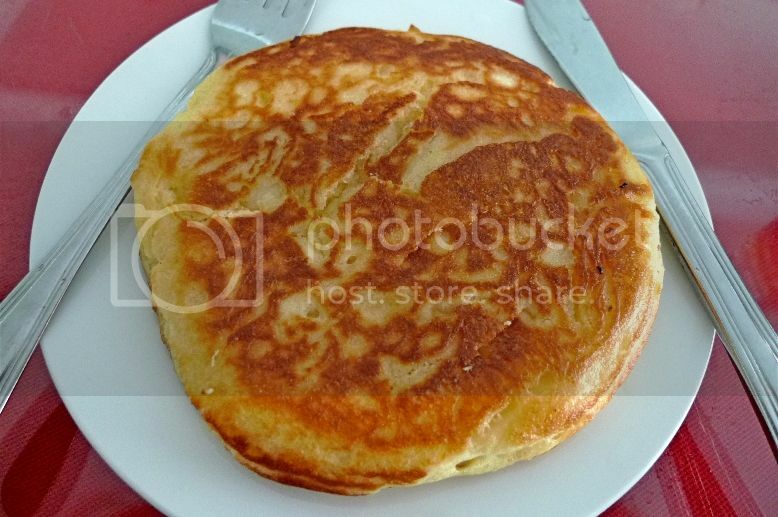 On the second morning in Phnom Penh, I had apple pancake with iced coffee. It was yummy! 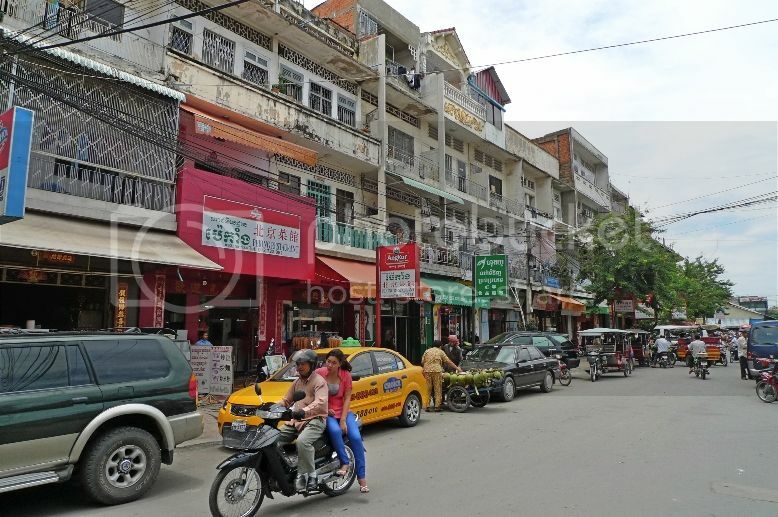 After our tour of the Royal Palace, we decided to explore the city centre of Phnom Penh. Jam, his friend and I had our tuk tuk driver to bring us around. 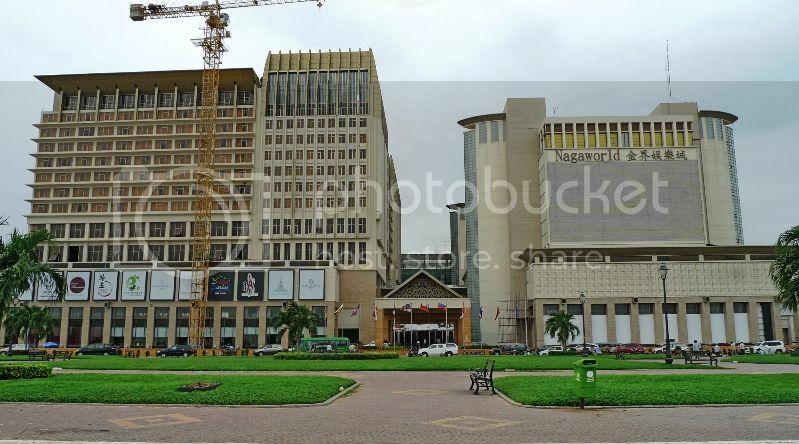 We passed by this famous 5 star NagaWorld Hotel and Entertainment Complex near the Tonle - Mekong River. 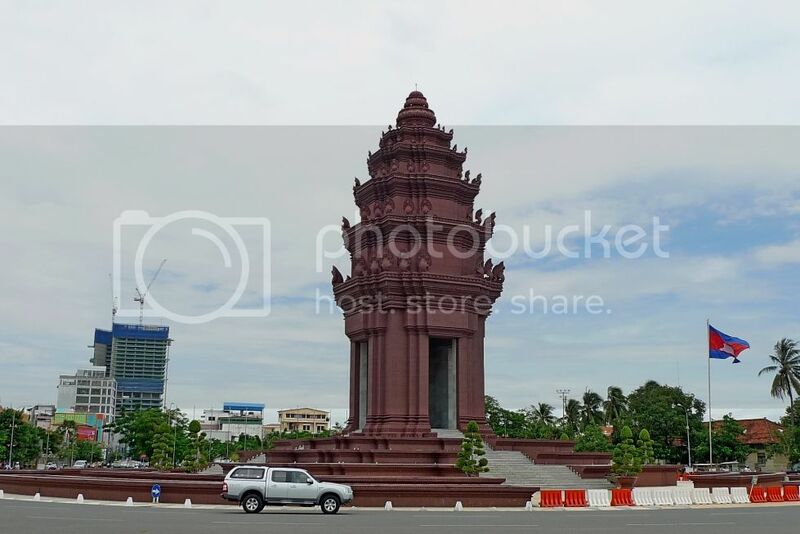 At the city centre, we came across a large roundabout and in the centre of this roundabout stands the Independence Monument (Vimean Ekareach). 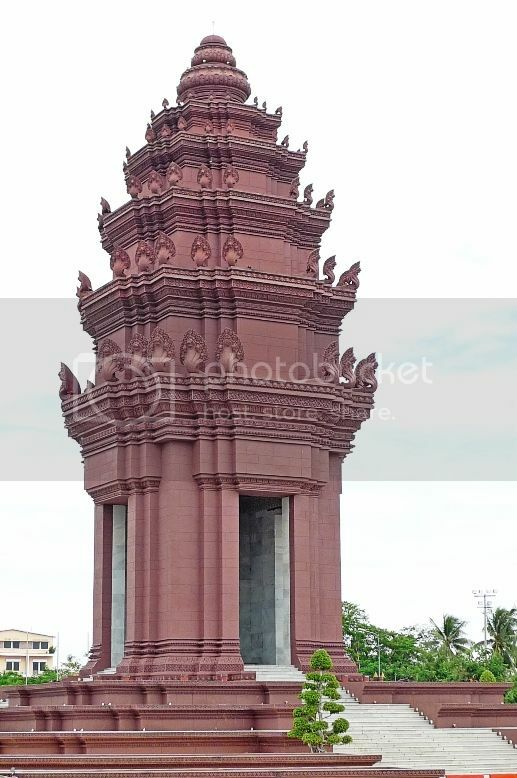 Looking like a lotus-shaped stupa, this Independence Monument was built in 1958 and designed by renowned Cambodian architect Vann Molyvann to celebrate Cambodia's independence from France. 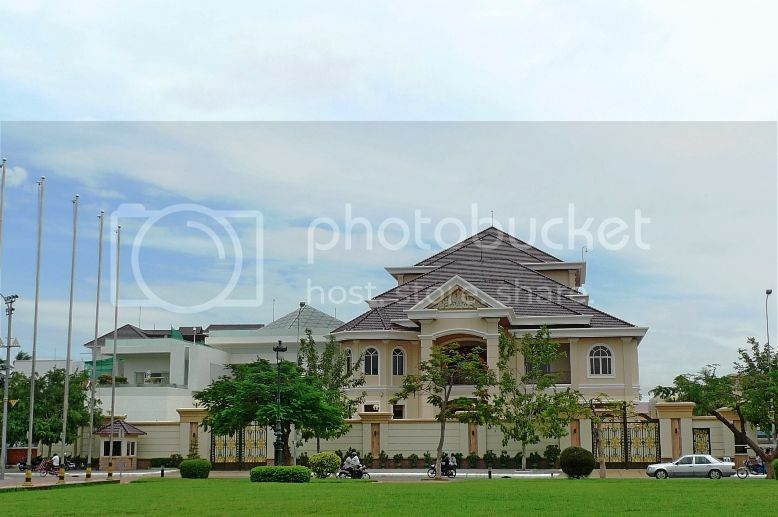 Not far from the Independence Monument is the residence of Hun Sen, the current Prime Minister of Cambodia. This was pointed out to us by our tuk tuk driver. Hun Sen, we were told, is the longest serving Prime Minister in South East Asia and one of the longest serving leaders in the world! 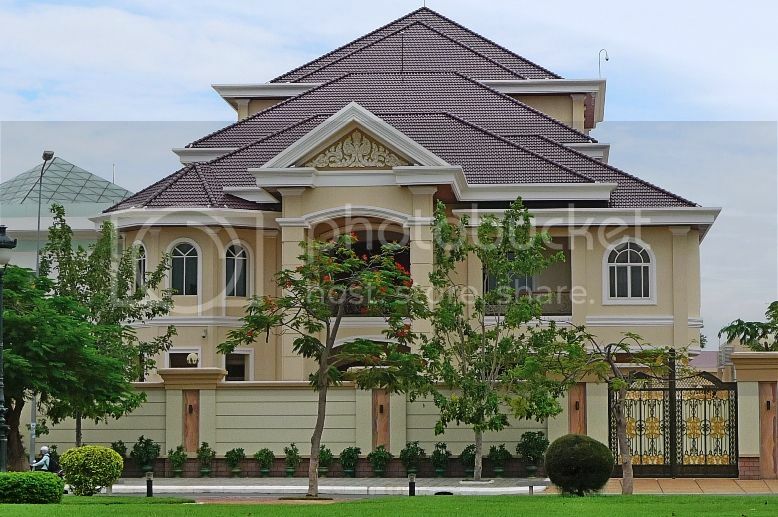 How do you like the look of his residence? 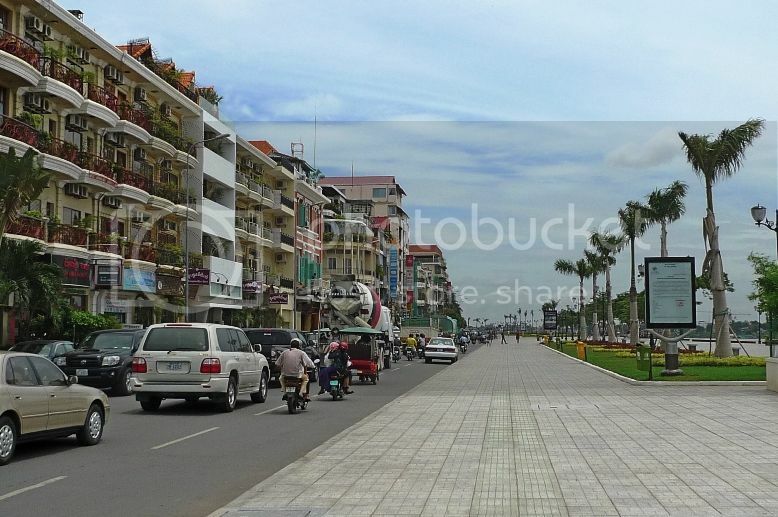 Next, we requested our driver to bring us to riverfront area along Sisowath Quay. 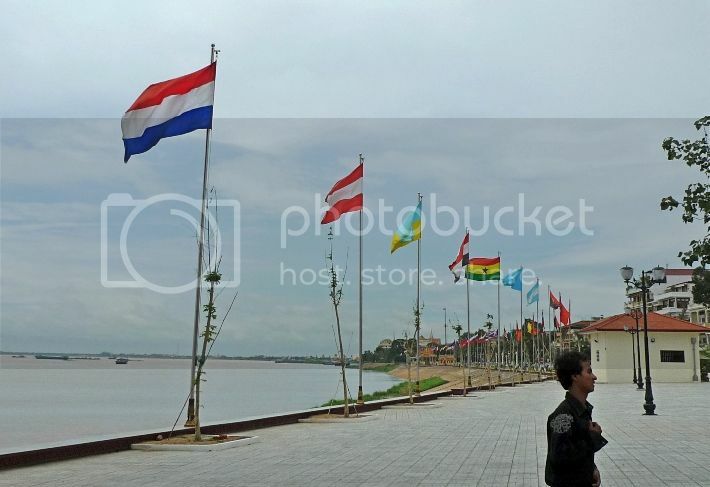 The Sisowath Quay is an esplanade running along the banks of the Mekong River and Tonle Sap River. 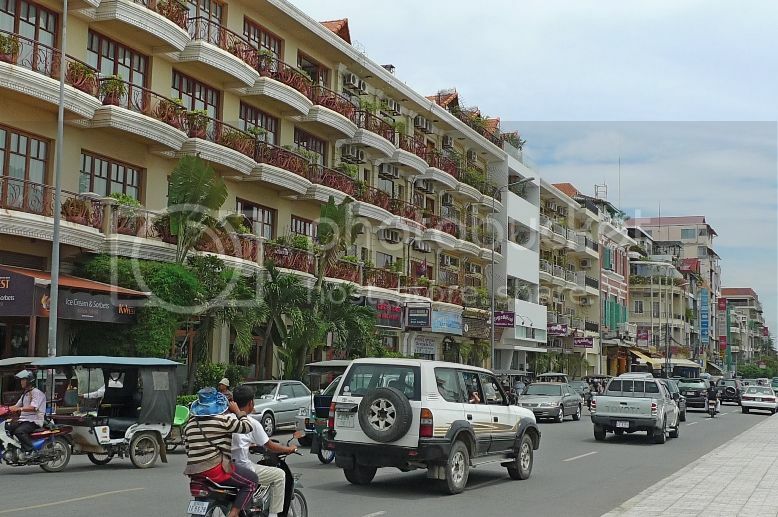 Right opposite the esplanade across the road are dozens of restaurants and bars and a range of hotels and guesthouses as well as several silk and souvenir shops, travel agents and internet cafes. It was a rather hot morning so we did not stay for long. It would probably be a good place to visit during the evening. The tuk tuk driver then took us back to our hotel, but instead of going into our hotel, we took a walk around our hotel. 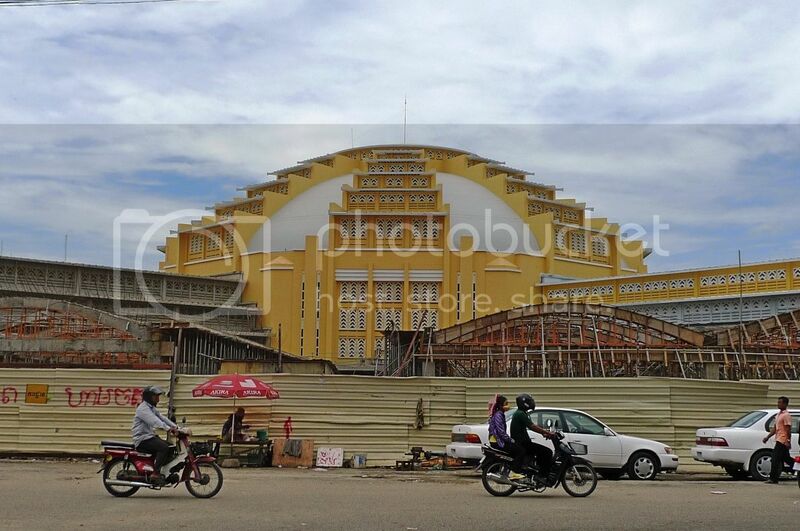 We came across the Central Market which is also known as Psar Thmei meaning "New Market" in Khmer. However, the building was undergoing renovation so we did not go in. Guess what? Along the way, we also passed by this! 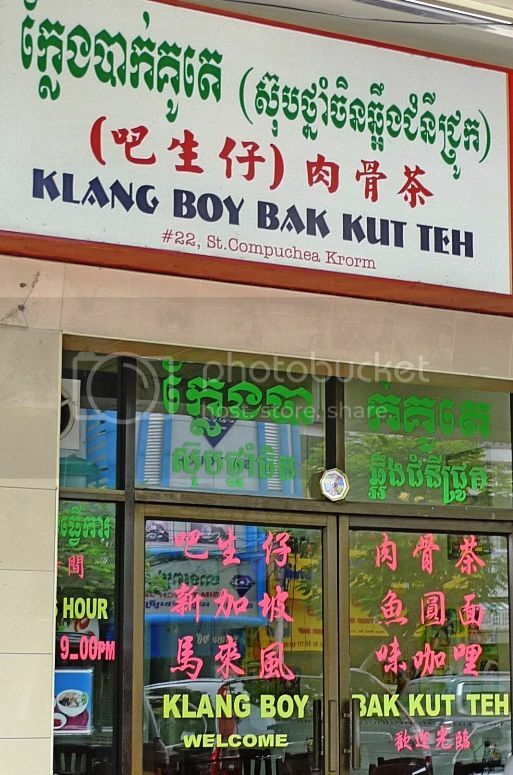 Klang Boy Bak Kut Teh? Haha! It's good to know that there are enterprising Malaysians in Cambodia!